The topic of residency in Costa Rica and visa runs continues to engage people on social media. Here James Dyde pushes back against the idea of simply paying to live in Costa Rica, no strings attached. Is he correct? If you’re one of the few people who read my opinions on this site, you’ll know my inspiration for most everything comes from the Costa Rica expat groups on Facebook. I’m trying to wean myself off these groups, to be honest, or at least wean myself off commenting on them in my own snarky way. I’m trying to be a better person in 2019. Also I’m trying to waste less time. But now and then a doozy comes up, a topic so enthralling or ridiculous or engaging that I have to wade in. I have to. There’s no choice. Without getting into the fact that no way on earth is there 400,000 perpetual tourists in Costa Rica, what this guy is suggesting is Costa Rica does away with its residency laws and let anyone live here forever for $33 per month. So does he have a point or not? I don’t think he has. Costa Rica has some of the laxest, easiest immigration laws in the world. Residency is straightforward if you fit into the required categories. And if you don’t fit the categories, then you can come and go every 90 days by doing a visa run to Panama or Nicaragua (or wherever). You can do those visa runs in perpetuity, every three months forever. It’s more than fair and I can’t for the life of me understand why anyone would disagree with that. I guess I’m a little outraged on behalf of those of us who have residency. I mean residency isn’t cheap. Not so much about the process itself, but more because of the CCSS costs you need to pay. The CCSS, or “Caja”, is your health and social security insurance, mandatory for all legal residents of Costa Rica. 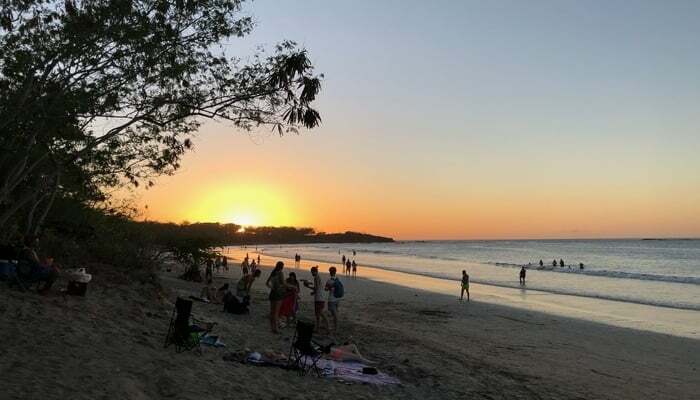 If you, like the suggestion above, can bypass the Caja payments and pay $100 every three months to stay in Costa Rica permanently, then why bother with residency and the Caja which is, for most people, at least $100 a month? It makes little sense to me. In fact it seems like someone wants to have his cake and eat it. It amazed me how many people agreed with this guy though. I’m assuming people without residency in Costa Rica who feel they have a right to stay here forever for less than the cost of a can of Coke a day without going through the hoops of residency and without having to leave the country at all. It sounds great, doesn’t it, but why bother with residency? What’s the point? My personal politics skew liberal, more center-left than left, and I’m no raging build-the-wall right winger. But every country can impose whatever requirements they want on anyone who wishes to settle within its borders. That is what sovereignty is all about. Also, as mentioned, Costa Rica has some of the most lax regulations out there. I don’t get why that isn’t enough for some people. We could be Panama. Panama requires foreigners on a tourist visa to stay up to 180 days in the country and then leave for at least 30 days. They don’t want perpetual tourists any more. They want you to get residency if you plan on living there. That’s reasonable isn’t it? Think about what your own country wants. Other Latin countries are even stricter. Colombia and Brazil have a 180-day limit per calendar year for foreigners on a tourist visa. They don’t want perpetual tourists either. Now I’m no hypocrite. I was a perpetual tourist in Costa Rica for a long time myself. I have no issue with the practice and neither, it seems, does the Costa Rican government. When they overhauled the immigration law in 2010, everyone wondered if they’d address perpetual tourism. They could have done a Colombia or a Panama or taken other steps to make perpetual tourism tougher. After all, they want to encourage residency and contribution into the Caja. But they did nothing. The immigration overhaul didn’t mention perpetual tourism at all. Not once. Everyone is still free to jump across the border even 30 to 90 days forever and stay in Costa Rica that way. So I don’t get why some think this is unfair. It mystifies me. Talking about biting the hand that feeds you. I admit it got old doing the visa run bounces all the time when I was a perpetual tourist. I hated that paranoia coming back in when you never knew for sure if they would give you 90 days or not. Sometimes they didn’t. But I never thought I was above doing them and that CR should change the rules for me. I knew I had to get residency at some point, and one day I did at last. My worry is if too many people think they shouldn’t have to do visa runs and yet not get residency either, then maybe some day the government will pull a Panama and crack down. That won’t be good for anyone. The thing to remember is that Costa Rica wants you to have residency here for one reason only. They want you to pay into the Caja. If they implemented a scheme where you could just pay a buck a day without paying the Caja, then the Caja, overstretched as it is already, would lose. It’s that simple. The idea would have merit if the cost was, say $1,000 a month rather than $33 like the gentleman suggested. $1,000 per month would be an incentive to get residency instead of an incentive for those already with residency to abandon it. Anyway, I said all this on the thread. And then I still felt I needed to wax on about the subject, which is what I’m doing here. “So for everyone who thinks this is a great idea, riddle me this. If such a scheme was implemented, why would anyone get residency? Why would anyone with residency renew their cédulas? I mean if you can live here permanently for a dollar a day, that’s way cheaper than CCSS payments, which is the reason CR wants you to have residency. Such a scheme would, in fact, be taking money AWAY from the country, not contributing to it.” Me on the original thread. I guess the point I’m making is that Costa Rica is a great country to move to. It’s true residency isn’t easy to get if you don’t or can’t fit into the various categories. But even if you can’t, they still allow you to live here and do visa runs. They don’t need you to do that. They don’t need you at all. How about we stop acting like entitled gringos and appreciate the fact we’re not Panama or Colombia or Brazil or any of a ton of other places that genuinely make it hard? Do you think Costa Rica should drop residency requirements and allow anyone to move here for a price? Let us know!